Returning to Brandon, he attended the Academy. with Abraham Lincoln in 1858.
until his death in June, 1861. 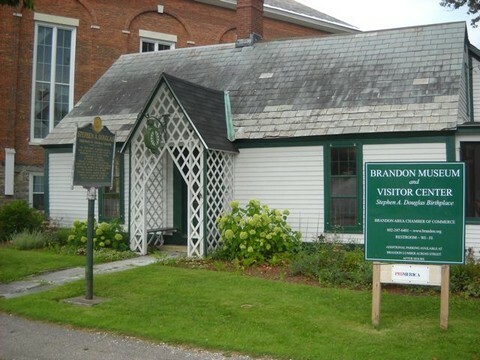 12 Grove Street, in front of the Brandon Museum. 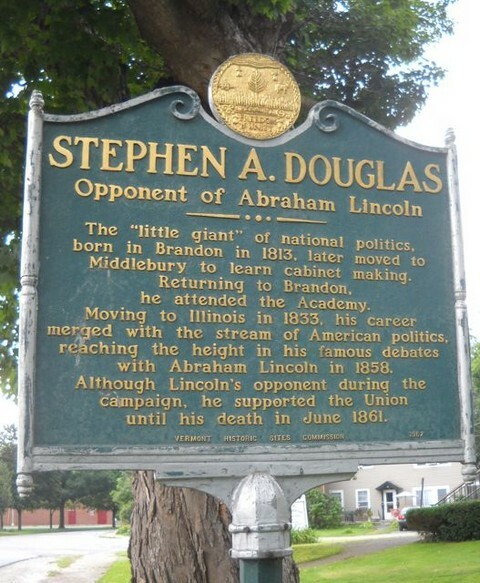 See also the monument, across the street.